With my birthday right around the corner this is the perfect post to write! I have provided a way everyone can get me a gift! Let me begin by sharing that I love gifts that give!! This puts companies like UncommonGoods top on my list. 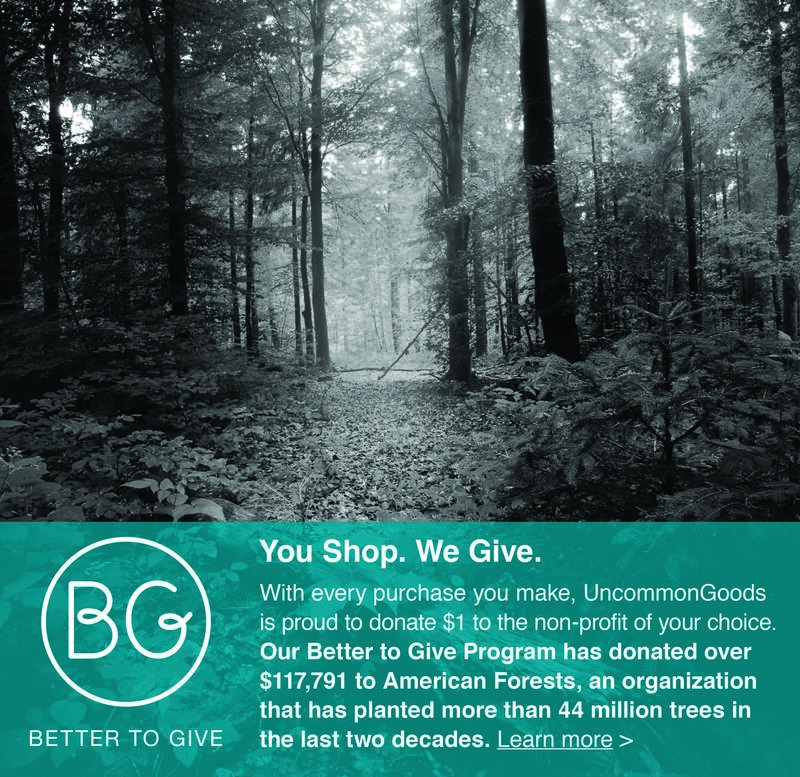 Not only do they have the Better to Give program that donates $1 from every purchase to the non-profit of your choice, but they are invested in showcasing unique designs and handcrafted gifts that are good for the earth and the people of the earth—just as I talked about on my shop page. Even better, they are a certified B Corporation. Being a B Corporation is like having the Fair Trade Certified stamp of approval for your business. This means meeting rigorous standards for wage levels, environmental impact, and giving back to the community. Get this—they cover 80% of healthcare, donate 15% of net profit to non-profit organizations, and offer incentives to encourage low-impact commuters (over 38,800 human powered miles to date!) Over 40% of products are from independent designers & artists and half are made right here in the United States. 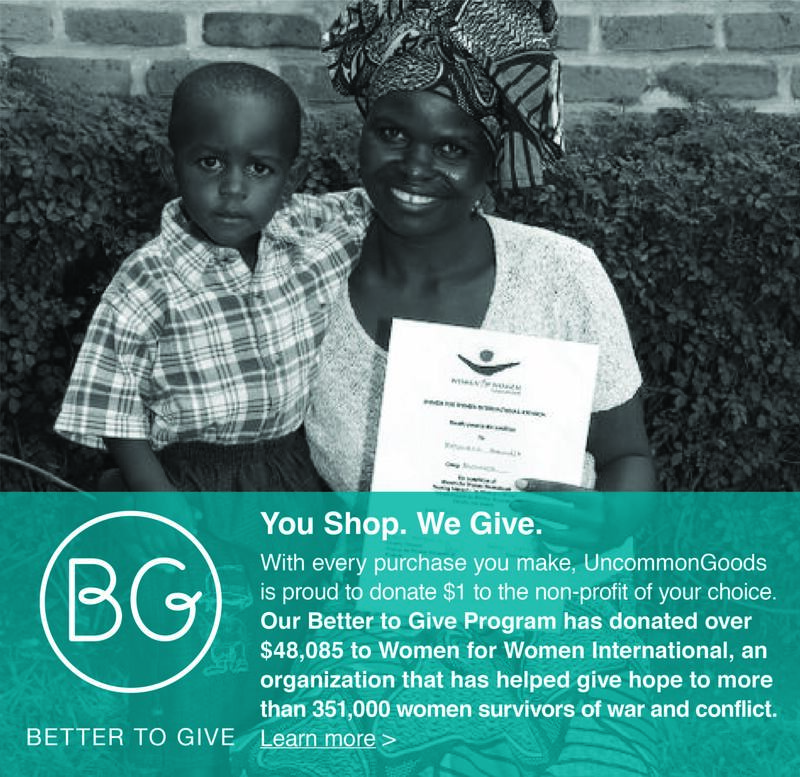 Women for Women International—providing women survivors of war with the tools and resources to move from crisis and poverty to stability and self-sufficiency. 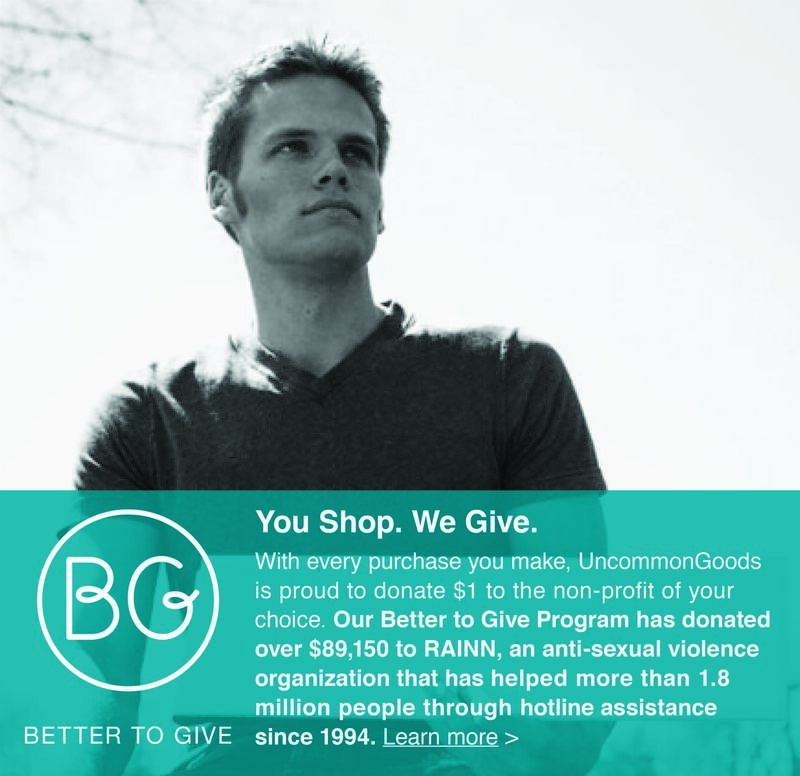 RAINN—the nation’s largest anti-sexual violence organization that carries out programs to prevent sexual violence, help survivors, and ensure that rapists are brought to justice. 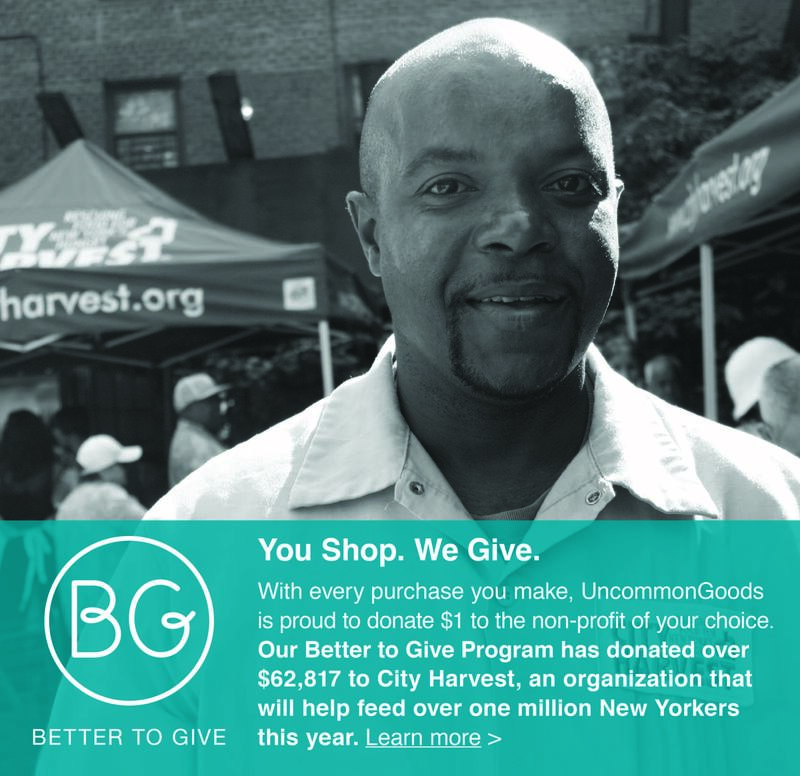 City Harvest—striving to end hunger in communities throughout New York City through food rescue, distribution, and education. American Forests—protecting and restoring forests worldwide, helping to preserve the health of our planet for the benefit of its inhabitants. What is there to think about…….start shopping!